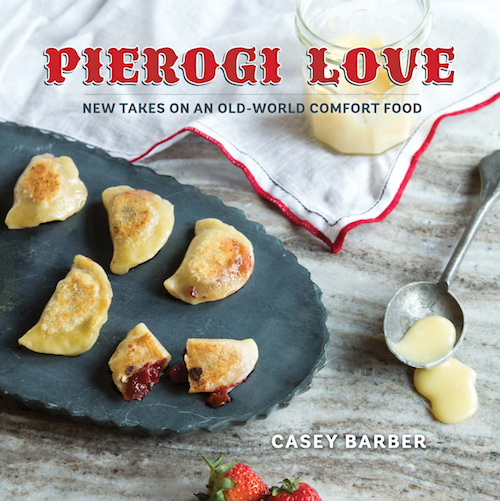 I’m the author and photographer of Pierogi Love: New Takes on an Old-World Comfort Food (Gibbs Smith, 2015). This tasty tribute to the pierogi takes a familiar wrapping and stuffs it with a host of unconventional, innovative, and decidedly non-traditional fillings. With 60 sweet and savory recipes that include everything from the classic Polish cheddar and potato offerings to American-inspired Reuben pierogies and fried apple pie-rogies to worldly fillings like falafel and Nutella, there’s a pierogi for every party and every palate! Each recipe comes with a charming story from Barber’s extensive explorations in pierogi flavors. 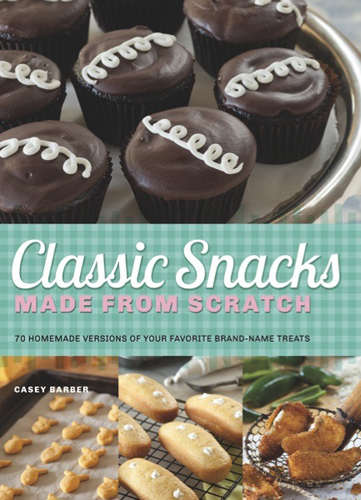 I’m the author of Classic Snacks Made from Scratch: 70 Homemade Versions of Your Favorite Brand-Name Treats (Ulysses Press, 2013). This addictive and quirky cookbook featuring 70 recipes for snacks and treats that far surpass the flavor of their store-bought counterparts. Reintroduce your taste buds to the cool and creamy pleasure of a Klondike Bar, the sweet happiness of an Oreo or the satisfying crunch of a Tater Tot without unhealthy preservatives, unnatural colorings, and unwanted chemicals. With recipes ranging from Hostess Chocolate Cupcakes and Oatmeal Creme Pies to Pizza Rolls, Cool Ranch Doritos, and Cheez-Its, Classic Snacks Made from Scratch: 70 Homemade Versions of Your Favorite Brand-Name Treats is a cookbook for nostalgic food lovers, DIY enthusiasts, and kids of all ages. I’m the illustrator of A is for Absinthe: A Spirited Book of ABCs by Lara Nixon (2014). This book takes a loving but tongue-in-cheek look at the spirits industry, providing a whimsically illustrated education on many of the tools and ingredients used in the trade with a child-friendly twist. Parents and kids alike will be charmed by the witty rhymes and captivating drawings in this modern ABC book. From muddlers and strainers to orgeat, quinine, and yes, absinthe, A is for Absinthe makes for a very happy hour at bedtime. 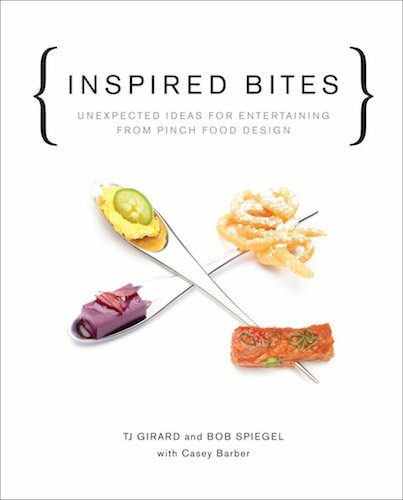 I’m the co-writer of Inspired Bites: Unexpected Ideas for Entertaining from Pinch Food Design (Stewart, Tabori & Chang, 2014). TJ Girard and Bob Spiegel, co-owners of the catering company Pinch Food Design, are known for their unforgettable party food and one-of-a-kind design sensibility. This book reveals their trade secrets, offering up irresistible recipes for your next cocktail party—paired with DIY projects for presenting food in fun, elegant, and original ways. Forget about the same old tired dips, mini quiches, and pot stickers. Instead think truffled quail eggs on mini English muffins, skate schnitzel with spaetzle, deconstructed buffalo chicken wings, fennel glazed duck on polenta, salted chocolate cookie with rosemary ice cream sandwiches, banana semifreddo on cocoa rice crunch, and more. With these addictively delicious recipes and advice on how to present food like a pro, Inspired Bites ensures the next gathering you host will be a memorable one.